This project RRIMM & INEZ has been made possible through the imagination of Mr. Daesik Lee. He organized my first trip as educator and soloist to South-Korea in April 2015 and inspired a number of compositions for this purpose. Jazzdepartment head Mr. Jin U Bek and assistant director Mr. Sang Jik Lee of Daegu University offered masterclasses, followed by an invitation to perform at DAEGU INTERNATIONAL JAZZ FESTIVAL. They inspired the foundation of RRIMM - and in a second step the featuring of vocals - RRIMM & INEZ. Mrs. Ursula Martyn-Ellis obviously can write amazing lyrics on request and on rhythmically pretty much set melodies in very little time. The Family of Youngdae Lee, Woonsuk Jung, Choongsun and Inshim Lee did welcome me with wonderful korean hospitality. Mr. and Mrs Kapho Kim extendet generous friendship, support and endless positive energy. Mr. David Friedman and others answered to my call for suggestions, when the Daegu Festival was postponed due to the MERS epidemy in July 15. 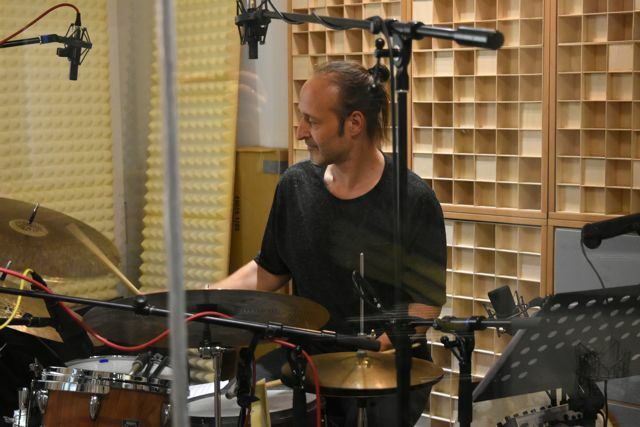 A spontanous recording session at GREVE STUDIOS BERLIN came up as a great opportunity and solution. I need to mention the supportive work of recording engineer Christoph Schlimbach and the inspiring mixing session with Stefan Weeke. I’m again and again excited and astounished by the uniqueness and overal quality of „my“ musicians: thank you all for amazingly inspired improv!! The efforts of everyone named here have already - and will help this project further!